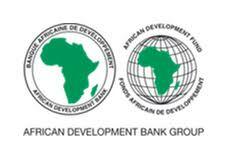 Established in 1964, the African Development Bank is the premier pan-African development institution, promoting economic growth and social progress across the continent. There are 80 member states, including 54 in Africa (Regional Member Countries). The Bank’s development agenda is delivering the financial and technical support for transformative projects that will significantly reduce poverty through inclusive and sustainable economic growth. In order to sharply focus the objectives of the Ten Year Strategy (2013 – 2022) and ensure greater developmental impact, five major areas (High 5), all of which will accelerate our delivery for Africa, have been identified for scaling up, namely; energy, agro-business, industrialization, integration and improving the quality of life for the people of Africa. The Bank is seeking to build a management team that will lead the successful implementation of this vision. The Bank is seeking to build a management team that will lead the successful implementation of this vision. The Vice Presidency for ‘Agriculture, Human, and Social Development’ is a Sector Complex focusing on the Bank’s Ten Year Strategy High 5s priority of “Feed Africa” and “Improve Quality of Life for the People of Africa”. The complex objectives are (i) to develop, policy and strategy; (ii) provide deep sector expertise to the Regions by gathering pools of experienced individuals who can be consulted to provide sector expertise on complex transactions; (iii) develop new financing instruments; (iv) the Vice President will act as the spokesperson to represent the Bank with external stakeholders on aspects of “Feed Africa” and Improve Quality of Life for the People of Africa”. The Human Capital, Youth and Skills Development Department, within the Agriculture, Human and Social Development Complex will spearhead the achievement of the High 5s on “Improving the Quality of Life of People in Africa” and contribute to the other High 5s. The Department has two divisions (i) Education, Human Capital and Skills Development Division which focuses on scaling-up of Bank’s support to education, human capital and employment/livelihoods; and (ii) Public Health, Security and Nutrition Division focusing on strengthening health systems and nutrition for human wellbeing. It also hosts various pertinent initiatives and trust funds. Provide strategic services and advice through Regional Centers to support Regional Members Countries in improving higher education pertinence and human capital production necessary for the transformation of Africa. Provide necessary technical support and expertise to all units of the Bank in terms of Education. Provide advice to the Director of the Department on questions relating to Education. A minimum of eight (8) years of extensive and progressive experience in an internationally recognized financial or development Institution, three (3) years of which should be at a managerial level; PhD in relevant discipline will be a plus. Good knowledge of policies and actors in action-oriented themes in the fields of Education, Human Capital and employment in development countries especially in Africa. Client oriented: direct and oversee team processes and outputs, provide guidance, feedback and insight to improve quality of the Bank’s actions relative to Education, Human capital and Employment sector. Capacity to communicate and develop in action plans the strategy relative to the division. Experience in delivering high quality operational products and services (economic analyses, research advice, sector studies and reviews). Proven leadership and team building skills; results oriented and ability to work in a multicultural environment.